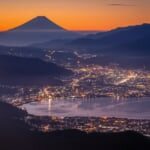 Japan is known world-wide for hosting a variety of scrumptious dishes that most of the global population can't get enough of. 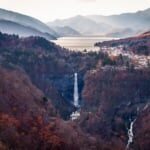 The ubiquitous dishes of sushi, tonkotsu ramen and tempura can be found in almost every city in the world, and while we'd still say such dishes are well deserving of their reputation, Japanese cuisine offers so much more. Here are some foods you absolutely have to try when visiting the Land of the Rising Sun. 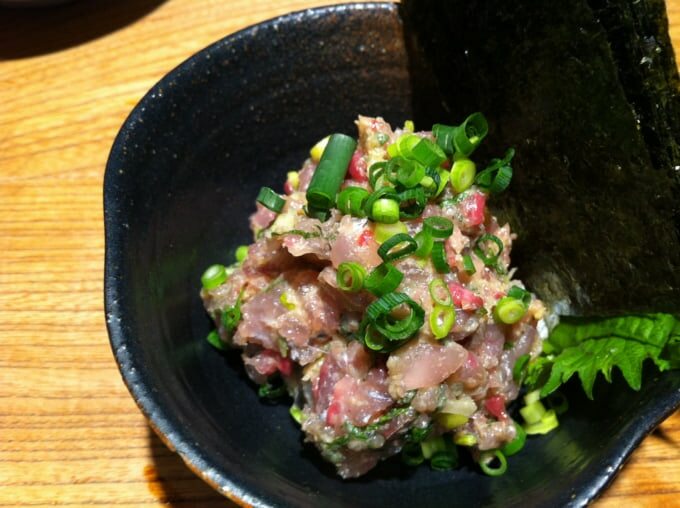 A kind of Japanese fish-tartare, namerou is a popular dish in Tokyo's neighbor of Chiba prefecture. 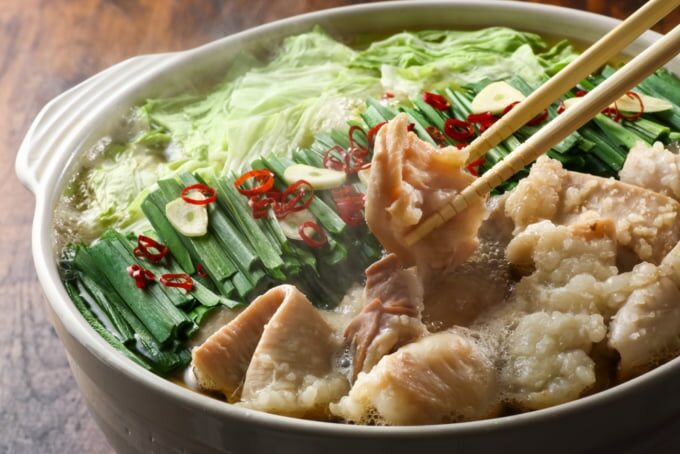 Usually prepared using horse mackerel or saury, both extremely popular fish in Japan, it's minced up and mixed with green onions, ginger, seasoning and often miso paste, before usually being placed on a bed of shiso leaves. Namerou is a perfect example of the extensive seafood cuisine found on this pacific island and a great way to explore further than the ubiquitous sushi and sashimi. For the tuna enthusiasts be sure to try negitoro as well, a similar dish made with maguro tuna, green onion and soy sauce. There's few dishes that scream Japanese home cooking quite like nikujaga, often the specialty of many a house wife or obachan in Japan. 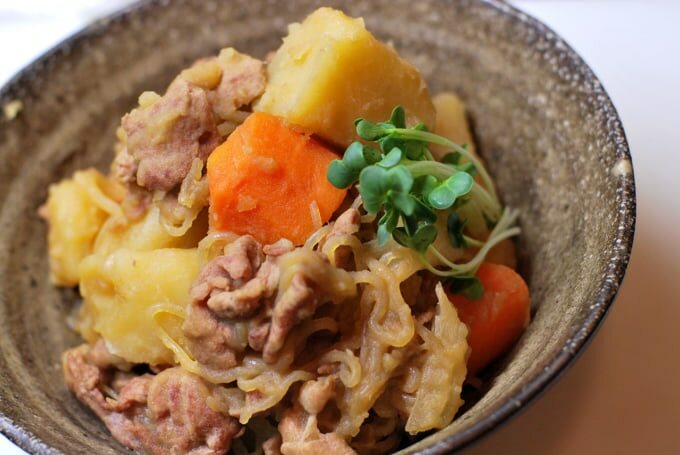 This dish is a traditional stew that usually includes thinly-sliced beef, potatoes and onions flavored with soy sauce, sugar and dashi, a stock made from dried fish and kelp. Who doesn't love deep fried cutlets of pork? Well, as is often the case in Japan, the locals here step it up to another level. Cutlets are covered with a heavenly mix of egg, onions, soy sauce and sake which is allowed to cook for a moment before resting on a bed of fluffy rice. 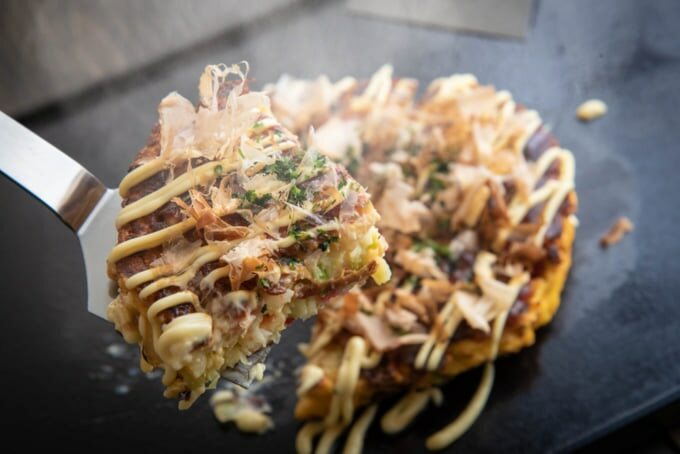 Literally translated as grilled-whatever-you-like, okonomiyaki is the perfect comfort food. 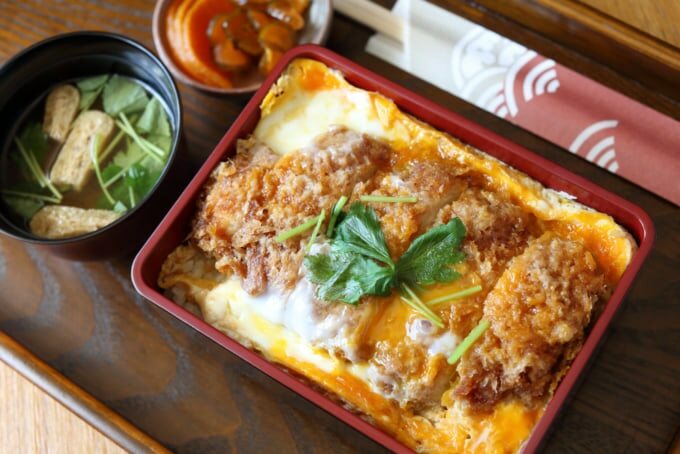 Often called Japanese pancakes or pizzas for their shape, we'd much prefer a slice of this mouth-watering pan-fried delight. A mix of cabbage, flour, water and egg is grilled on a teppan hot-plate and then usually topped with a savory sauce, seaweed, flakes of dried bonito and mayonnaise. The result is phenomenal and unmissable on a trip to Japan. The dish originated in Osaka but you'll find regional variants elsewhere too such as the Hiroshima style which grills noodles under the okonimiyaki. Not a dish per say but more like a spread of Japanese tapas, kaiseki cuisine usually consists of many small dishes made from locally grown and sourced produce from the particular region. 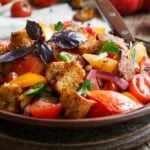 The whole meal plays out more like a ceremony than a standard meal as each dish served together is carefully prepared and planned to compliment each other. These kind of meals are usually served in traditional Japanese inns or 'ryokan' and are a great way to sample the cuisine and local produce of the area you're travelling through. 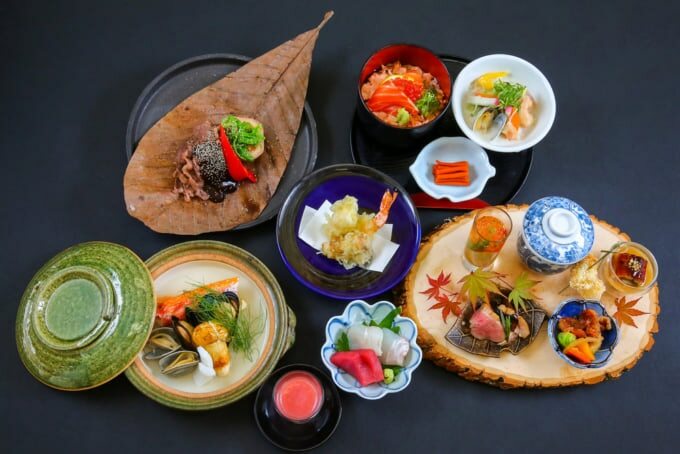 For those passing through the ancient capital of Kyoto, be sure to try obanzai, a local varient of kaiseki culture that focuses on in season ingredients and cooking methods from the region. 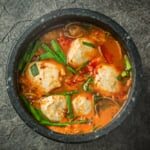 Hot pot can often be a little bland and dull if the balance of flavors is done wrong. The Japanese however usually tend to do a staple version of this popular Asian dish and one that particularly shines strong is motsunabe. Hailing from the southern island of Kyushu, motsunabe is stuffed full of fatty offal, cabbage, chives and usually flavored with miso paste, garlic and togarashi; a Japanese spice mixture. 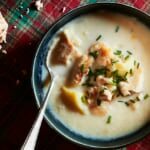 The extra fat and spices give the soup a wonderful flavor perfect for enjoying in the winter months. When you've had your fill of meat and greenery, use the leftover soup to mix with rice. The dish is called zosui, like a Japanese risotto, and is especially flavorsome when the fatty soup of motsunabe is used. Almost every culture on earth has been grilling meat on sticks for give or take a gazillion years, but the Japanese take them to a whole other level of flavor. 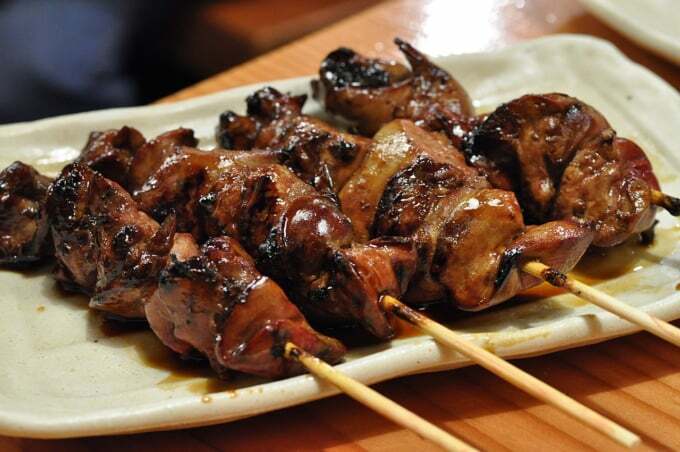 Most yakitori joints will grill up literally every part of the bird and manage to make it all phenomenal and succulent, then they'll lay their own homemade sauce over it, completing the whole dish to grilled perfection. 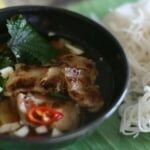 So most likely you've tried ramen before - as one of the most popular dishes outside of Japan, most foreigners go crazy for its common variants - however many people don't seem to realise there's a plethora of delicious soup noodle dishes all over the country. Revered among noodle enthusiastic locals is Toyama black ramen, hardly known outside of the country and even among many Japanese, this is the dish for anyone who likes a strong kick of umami. While the exact recipe is usually a closely guarded secret, the broth's unique color comes from a unique pitch-black soy sauce that quickly darkens the broth. 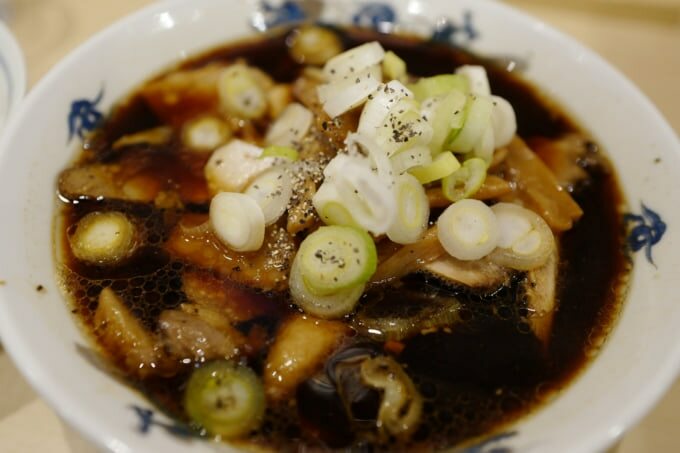 A beautifully-simmered dish of amberjack and daikon radish, perfect for the winter months. 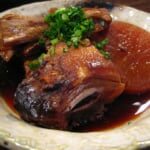 Buri daikon is another great example of why Japanese flavors are so well suited to making stews. 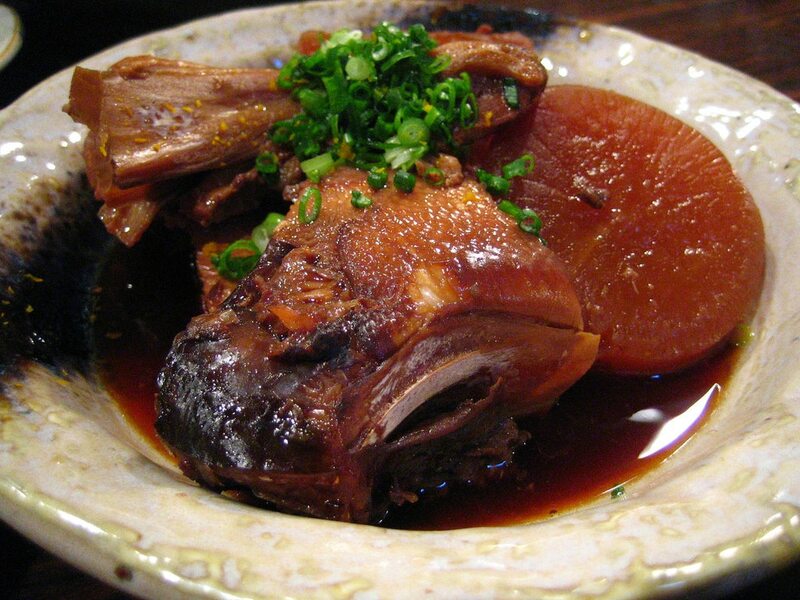 The two stars of the show are stewed in ginger, sake, soy sauce other flavorings until super soft. The dish is quite light but still super delicious and wonderfully showcases traditional Japanese cuisine. Although Japanese food has such a wide spread of offerings, most don't tend to make it very far out of their home country. This list only begins to scratch the surface of the underrated dishes found in the Land of the Rising Sun. 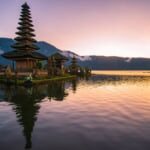 When you next make a trip to this gastronomic paradise, be sure to check the famous foods for the local area you're visiting and discover a whole array of mouth-watering regional cuisine.